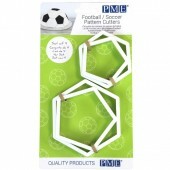 PME Football/Soccer Pattern Cutters Top quality plastic cutter set to help you make football cak..
FMM Bicycle Cutter Set Cycling has become such a popular hobby that FMM jus..
FMM Cute Dinosaur Cutter set Create the cutest dinosaurs with this lovely cutter set,..
FMM Get Sporty Cutters Create fun sports themed sugar decorations using this cutter, ..
FMM Large Hole in One Golf Tappits Create fun golf decorations for cakes, bakes and c.. 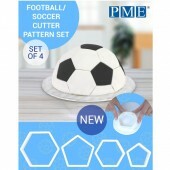 Baked with Love Football Decorative Pics This pack contains 24 decorative pics, 12 of each de..
PME Geometric Bricks Multicutters Use these PME Bricks Geometric Cutters to create multiple block..
FMM Cute Car Cutters Create a selection of cars in fun and vibrant colours, maybe the colours of.. 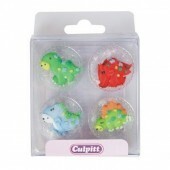 Cute Dino Pal Rings These cute dinosaur rings are ideal for decorating cupcakes and using as par..
FMM Train Cutters Set of Four Everything you need to create a fun cake. The train, passenger carr.. 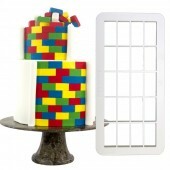 Licensed Avengers Candles Bring some firepower to your party with our Avengers Birthday Candles! .. 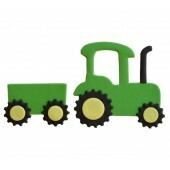 Licensed Justice League Candles Make your birthday cake super with these awesome Justice League c..
FMM Large Cute Farm Animal Tappits With this large cute farm animals tappit set, you can ..
FMM Tractor Cutters Everything you need to create a fun cake, tractor,cart and wheels are i.. 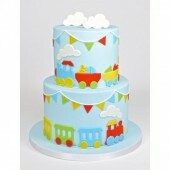 Licensed Thomas & Friends Candles Top the birthday cake with this cute candles for a perfect .. 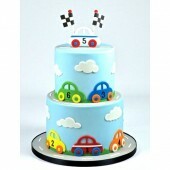 Licensed Blaze & The Monster Machines Candles Your cake is ready to take first place with Bla.. Licensed Cars Candles The large candle is perfect for the center of the cake and features "Happy ..
White Star On Red Paper Straws Very high quality food safe drinking straws. 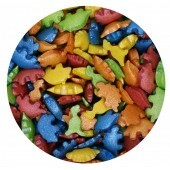 Ideal for cake pop st..
Dinosaur Sugarcraft Toppers Beautiful edible sugar toppers handcrafted in the UK. Pack.. 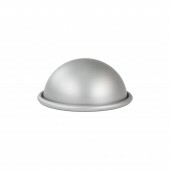 Outer Space Sugarcraft Toppers Beautiful edible sugar toppers handcrafted in the UK. P.. 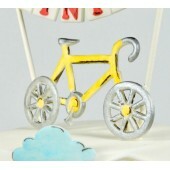 Train Sugarcraft Toppers Beautiful edible sugar toppers handcrafted in the UK. Pack of.. 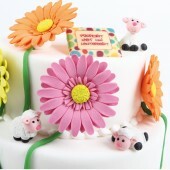 Blocks Sugarcraft Toppers Beautiful edible sugar toppers handcrafted in the UK. 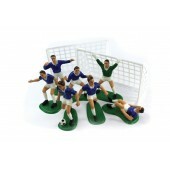 Pack o..
Gaming Sugarcraft Toppers Beautiful edible sugar toppers handcrafted in the UK. ..
Black & White Chocolate Footballs Black & White Chocolate Footballs are alway..
Coloured Chocolate Footballs Chocolate balls wrapped in coloured foil! Ingredient..
Mixed Chocolate Sports Balls Chocolate balls wrapped in coloured foil to make them look lik..
Chocolate Casino Chips Solid Milk Chocolate Chips wrapped in coloured foil! 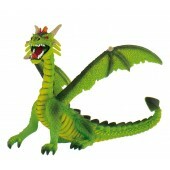 Ingredients..
Green Dragon Cutter Approx: 4" x 3" high Metal Cutter ..
Green Tyrannosaurus Cutter 6" Metal Cutter ..
Purple Brontosaurus Cutter 6" Metal Cutter .. 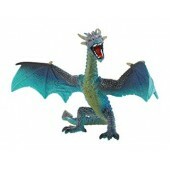 Rocket Cookie Cutter Poly resin coated metal - Diswasher Safe, Chip & Stain Reistant. 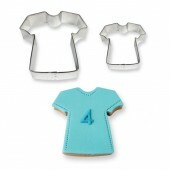 Size..
PME Stainless Steel T Shirt Cookie Cutters Small: 45mm x 45mm. 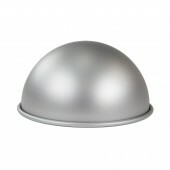 Large: 90mm x 90mm. 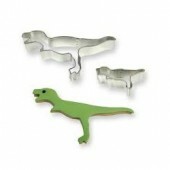 Set of 2..
PME Stainless Steel Dinosaur Cookie Cutters Small: 25mm x 50mm. 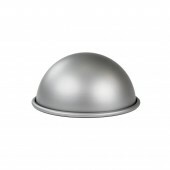 Large: 65mm x 150mm. Set of.. 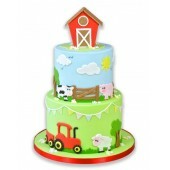 Licensed Spiderman Buncases 50 x 30mm ..
Paw Patrol Buncases 50 x 30mm Pack of 50 ..
Sprinklettisaurus Sprinkletti A beautiful mix of sprinkles perfect for cupcakes, drippy cakes &am..
Patchwork Cutters Tractor, Sheep & Dog Great for a farm scene, the dogs and sheep can also be..
Top quality foil buncases from PME Pack of 30 Size: Base 50mm, 40mm high ..
FPC Sports Balls Mould. Full instructions included. 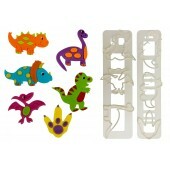 FPC moulds can be used and re-used ..
Trolli Dino Rex Trolli Dino Rex gummies carry you away into a new era of taste. Because e.. 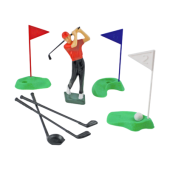 Licensed Cars Candle Approx 80mm wide x 30mm high ..
Wilton Construction Vehicles Candles Fast and easy candle decorating sets from Wilton are a quic.. 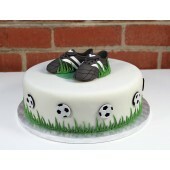 Licensed Thomas & Friends cake candle. 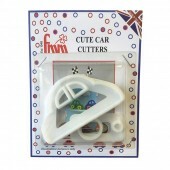 The hassle free way to create a stunning themed celebr..
Tools Cookie Cutter Set Beautiful high quality stainless steel cookie cutters. 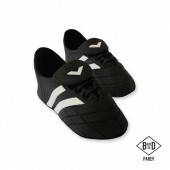 Sizes Approx: .. 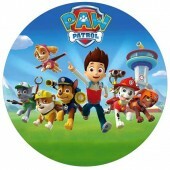 Licensed Paw Patrol Candle Approx 7cm ..
Football Pic Candles. 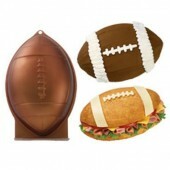 Football is 16mm diameter. Pack of 5. .. 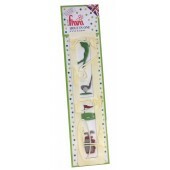 Jungle Animals Candles Pack of 5. 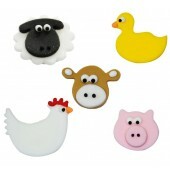 Animals approx 25mm. 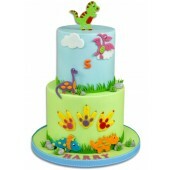 ..
Dinosaur Candle The perfect candle for dinosaur loving children. 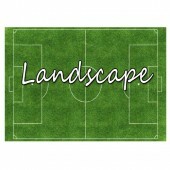 Approx: 80mm wide x 45mm high.. These quirky little edible dinosaurs will make a great addition to birthday favours or used in a col..
Give any little boy's birthday cupcakes the perfect finishing touch with these edible Robot sugar pi..
Superhero Sugar Pipings These delightful superhero cake decorations are individually hand piped u.. 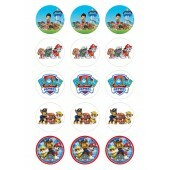 These delightful Transport inspired sugar cake decorations are individually hand piped using royal i..
Paw Patrol Cupcake Toppers - 15 x 2"
Paw Patrol Cupcake Toppers Mix of cute Paw Patrol themed edible cupcake toppers. 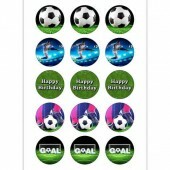 Precu..
Football Cupcake Toppers - 15 x 2"
Football Cupcake Toppers Mix of football themed edible cupcake toppers. 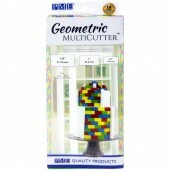 Precut & r.. 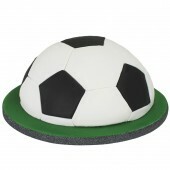 These fun and colourful sugar decorations are the perfect match for a football themed party. 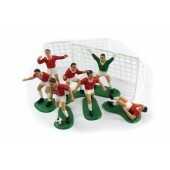 The..
Football Sugar Pipings These delightful football cake decorations are individually hand piped usi.. 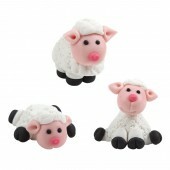 Edible Marzipan Sheep Very cute sheep made from marzipan in three different poses! 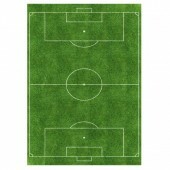 Ingredients..
Ready to use A4 Soccer Pitch Edible Icing Sheet! 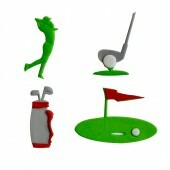 All images must be prepaid before printing. 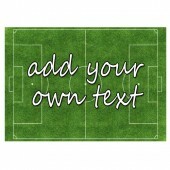 ..
Ready to use A4 Soccer Pitch Edible Icing Sheet with Text! 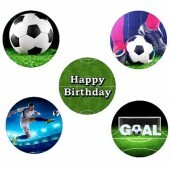 Simply add your text in the box above ..
Paw Patrol Sugar Disc 8"
Paw Patrol Edible Sugar Disc The quick & easy way to create a stunning themed celebration..
PME Candy & Lollipop Mould - Football/Soccer Perfect for your football themed treats! 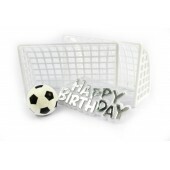 Idea..
LorAnn Candy Mould - Soccer Balls Durable plastic hard candy moulds are specially designed to wit.. 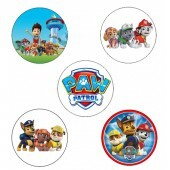 Licensed Paw Patrol Candles Approx 85mm high. Pack of 4. .. 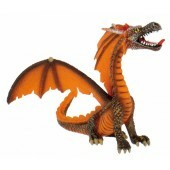 Licensed Marvel Spiderman Candles Approx 85mm high. Pack of 4. 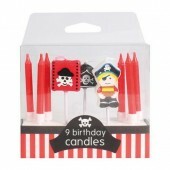 ..
Pirate Candles Celebrate that special birthday in style with these Pirate themed candles. ..